If you are unsatisfied with the appearance of your smile, our beautiful porcelain veneers are the right solution if you need a dentist in Kelowna. 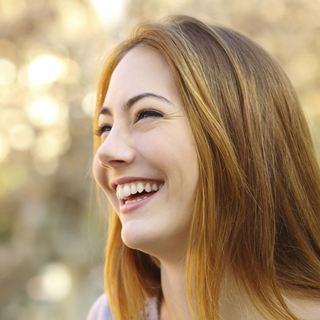 Veneers for teeth can provide flawless coverage for discoloration, chips, and gaps. They can also offer instant brightness to a dull smile for a permanent whitening solution! Our Kelowna dentist, also serving West Kelowna, utilizes only the most innovative veneers for teeth. Dr. Wells developed both DURAthin and Micro-thin tooth veneers, and both products have proven to be wafer-thin, noninvasive, and virtually undetectable. Why Choose our Prepless Veneers for Teeth? We construct our prepless porcelain veneers with state-of-the-art materials by meticulous craftsmen. Your veneers are custom-fit to your unique teeth. Therefore, giving you the perfect smile you have always wanted. Preserve your Natural Teeth | Many cosmetic restorations, including traditional tooth veneers, require removal of the natural tooth. When you choose our ultra-thin porcelain veneers, we will leave your natural teeth untouched before veneer placement. Always Reversible | Traditional veneers for teeth cannot be removed with ease. Our prepless veneers can be removed at any time to reveal your damage-free natural teeth that lie underneath. Durable and Long Lasting | Your veneers for teeth can last for 10 years or more if you take good care of them. Futhermore, you can enjoy a bright, white, confident smile for a decade or longer with our stunning porcelain veneers. At Choose Your Smile, veneers for teeth can alter any dental imperfection and give you the perfect smile. Call us today to schedule your appointment with our dentist in Kelowna, also serving West Kelowna!